Many boaters believe they are experienced enough to handle any situation on the water, and that people who get into strife are foolish or inexperienced. However, accidents can happen to anyone. 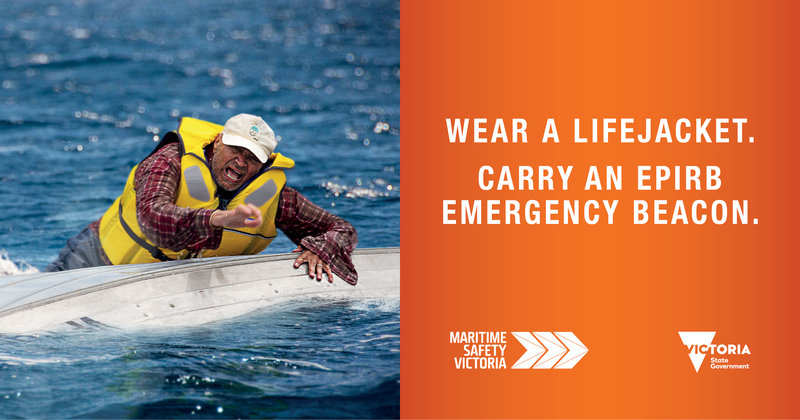 That’s why this year, Maritime Safety Victoria (MSV) is reminding boaters to wear a lifejacket, and urging them to carry an emergency position indicating radio beacon (EPIRB). An EPIRB is an electronic device that, when activated, assists rescue authorities to locate those in distress. Recreational vessels heading out more than two nautical miles from the coast are required to carry an approved 406 Mhz EPIRB. However, it is recommended that all vessels venturing into coastal waters carry one to make sure they're able to raise the alarm under any circumstances. MSV research shows that older boaters and paddlers/solo boaters often don’t recognise the risks associated with their activities. But in case of an emergency, wearing a lifejacket and being able to call for help could mean the difference between life and death. And follow the Boat Safe Ride Safe Facebook page, where MSV will be sharing boaters' survival stories.